Two students from John Carroll University’s College of Arts and Sciences have been selected for prestigious international experiences: Jacqueline Wyman ’12 leaves in July for a year in Germany, and Laura Kisthardt ’13 leaves in June for 10 days in Lebanon. 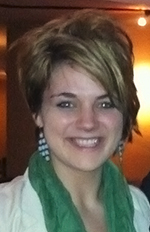 Wyman, from North Lima, Ohio, will participate in the 2012-13 Congress-Bundestag Youth Exchange for Young Professionals, a prestigious yearlong fellowship to study and work in Germany. A sociology major with a minor in foreign affairs, Wyman will complete a three-month, intensive German language course, study at a German university for four months, and work as an intern with a German company for five months. She is exploring options for her fellowship placements in Germany, with plans to gain experience in international aid and development policy work. The Congress-Bundestag Youth Exchange is a federally funded program supported by the U.S. Congress and Germany’s national parliament, the Bundestag. The exchange is reciprocal, with 75 German and 75 American citizens participating each year. 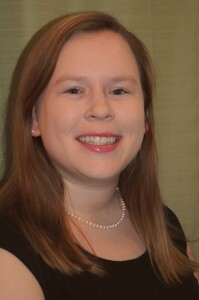 Kisthardt has been selected by the National Council on U.S.-Arab Relations (NCUSAR) to participate in an all-expenses-paid, cultural immersion trip to Lebanon. The political science major from Hudson, Ohio, is one of only 10 students in the nation to receive the honor. Nominees for the NCUSAR travel award participate in Model Arab League, a program in which students learn about the politics and history of the Arab world, as well as diplomacy and public speaking. In February, Kisthardt competed as part of John Carroll’s delegation to the Ohio Valley Model Arab League, held at Miami University. 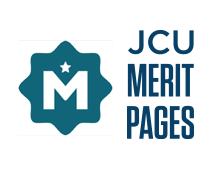 The JCU team earned an honorable mention award for its representation of Lebanon, and six John Carroll students won individual honors. 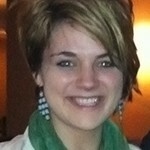 Kisthardt plans to blog during her trip and lead information sessions on campus during the 2012-2013 academic year.